On the latest Called to Coach: India Edition, we spoke with Gallup-Certified Strengths Coach Manish Puri. Manish discovered his strengths just a short time ago, in January 2014. However, over the past nine months he has completely changed the way he approaches life every day. He grew up in an environment where he was taught to shy away from his strengths and focus on developing his weaknesses. He now gets excited to start every day on the right foot, knowing that he is living positively through his natural talents. Offering up some helpful tips for those who coach individuals, Manish says it’s important for coaches to be very good listeners. Coaches who struggle with intent listening should look at their own strengths and figure out how they can use them to be productive listeners. He also said to start the conversation with open-ended questions in order to deeply understand the individual’s situation and what he or she is feeling. Manish talked about how every coach should fully understand his or her top 10 strengths. Understanding these talents on a deep level will help coaches better understand how to coach with their talents and will allow them to relate with their clients on a more emotional level. To hear more about Manish and his coaching experiences and expertise, watch the full video above. Join us for the next Called to Coach: India Edition on Tuesday, Sept. 23, at 10:30 a.m. India time. You can register for all upcoming Gallup Strengths Center webcasts at gallup.eventbrite.com. Manish has worked in all parts of India and overseas, having led large teams across continents with national responsibilities. He has been awarded meritoriously for his key competencies and results in his work, bringing with him a sharp acumen of improving leadership behavior and enhancing productivity. 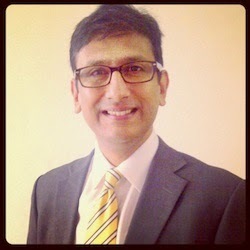 Manish’s top five strengths: Activator | Significance | Focus | Futuristic | Relator.